He does not go into too much detail about the motor selection, but it is a good writeup on the basic construction of the plane. 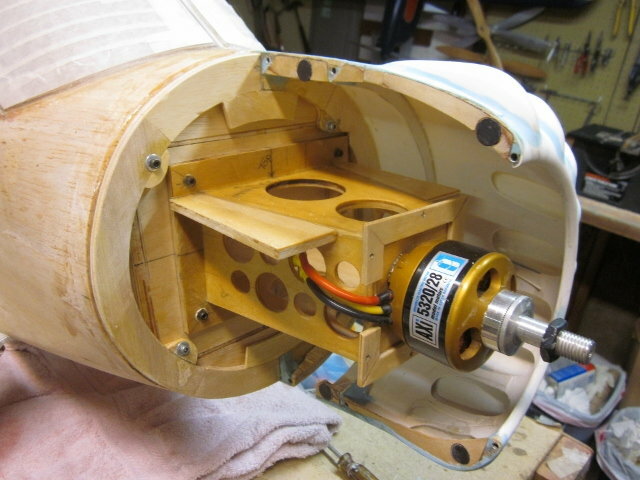 In his flight report, he states that he is using an "AXI 5230-24 motor running on 8S", and he does come up with a clever split cowl design to access the batteries (you can find that in one of the build posts, but not sure which one). Post a build thread when you get started. Maybe seeing another Stinson will help get me motivated to start my own! Thanks Aymodler, that's really useful. I subscribed to ECalc earlier today but as of yet haven't been able to come up with a selection that doesn't warn of possible motor overheating. Early days though, onward & upward hopefully. What power range are you targeting? On a plane like this, I would design to something around 100 watts per pound of electrical power. At your target weight, that would be about 2500 watts, which means with an 8S pack you would need a motor that can handle 85 amps (I tend to look at the max continuous current rating rather than power rating when you select the motor). That should narrow down your motor options some and you can iterate with eCalc to select a Kv/Prop combination. Let me know what you end up selecting. I am about to start another project, so I am probably 1-2 years away from getting my own Stinson onto the building boards, but I would love to see how yours turns out! I think it will be at least a year before I buy a motor & the accompanying bits. As the electric market seems quite buoyant, & the model doesn't need the mount until the final fix, I will delay my selection & continue upgrading my knowledge. 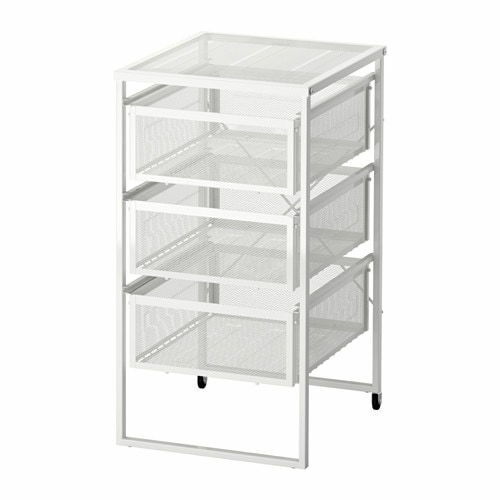 Went to Ikea today & bought the base for my building board & some storage bins, Hopefully I'll get the plans on the board next week. Hope to see a build thread! Provisional final layout, may relocate the drawer unit on the left. No she isn't praying I change hobbies. I have now re-gigged the bedroom to house the building board. I'm still trying to persuade my wife that we need one more furniture move to make things viable. Tyhe final building surface has still to be obtained. Someone on an English forum suggested plasterboard, I was going to use ply. So before the weekend I will be going to a builders merchants who stock both, with a supply of pins to test before buying. 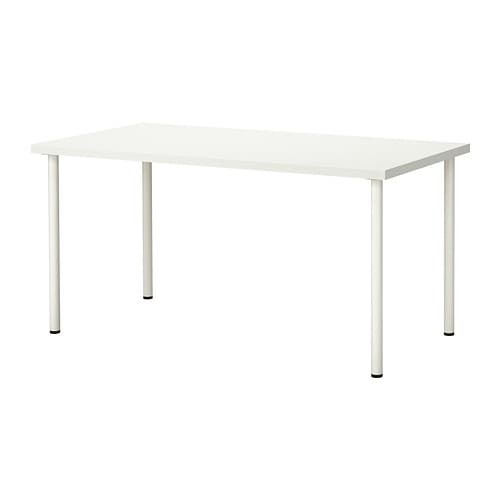 The table is & filing cabinet are from Ikea, the table measures 150 x 90cm. Last edited by stearman65; 09-05-2018 at 05:14 AM. Reason: added dimensions. I don't know if I'd have the guts to tackle a build this big in my bedroom! 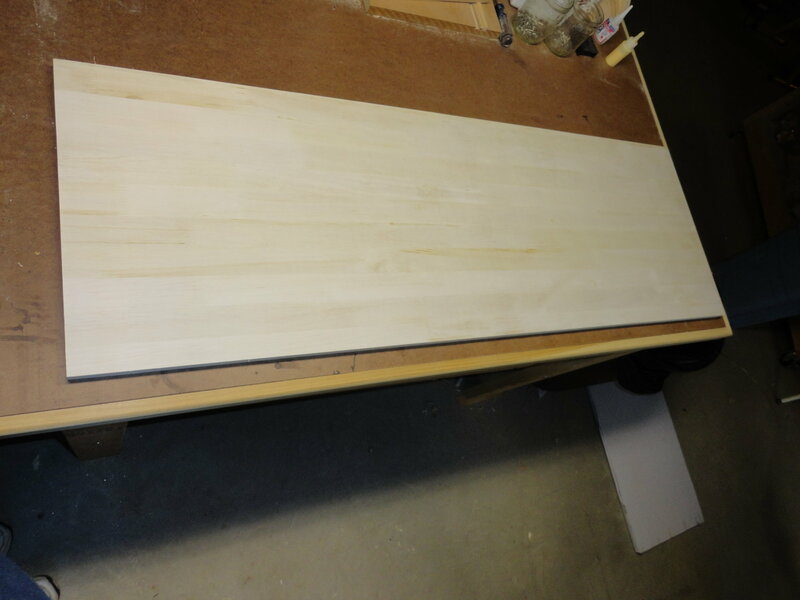 As for a building surface, regular plywood might be hard to pin to. If by plasterboard you mean what we call drywall or sheetrock in the US, then I do know that some people use that. Other popular materials are ceiling tiles (like the one used in drop ceilings) or foam insulation boards. I would bring a few pins to your building supply store and see what feels like it will work best for you. I use a 2' x 4' balsa building board I acquired some years back. Last edited by aymodeler; 09-05-2018 at 03:33 PM. In my past modeling phases I used something called blockboard in the UK, this is a composite of end grain pine blocks on edge sheathed in thin ply usually 3/4 to 1 inch thick, which has a good resistance to bending. As of now I haven't been able to find any stockists so it may have gone out of production. When the plasterboard (Which is what you said in the US) was suggested I thought that would be the best alternative. The ceiling tiles you mentioned are known as Cellotex over here but I don't fancy piecing them together as the longest size I've seen is a meter (391/4 inches), I need 5ft for the longest part on the Stinson. I have a hospital appointment this morning then we are off to the builders merchants. I will report back later. As for building in the bedroom, needs must when the devil drives. 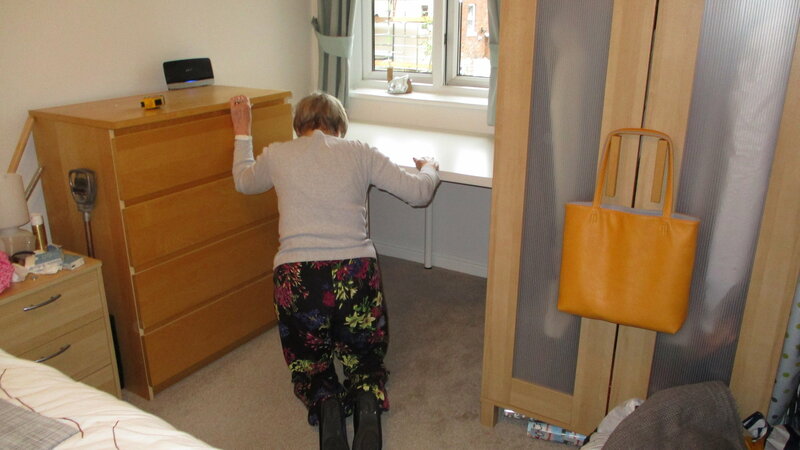 We live in a one bed-roomed retirement apartment. The problem will come when the structure gets over 5ft, but that's in the distant future, I'll cross that bridge if I reach it. Last edited by stearman65; 09-05-2018 at 11:18 PM. Reason: additional words. Failed miserably on the plasterboard front. Went to B&Q our megga sized DIY store, the nearest one with cutting facilities, 50 mile round trip. They had stacks & stacks of plasterboard, full & half sheets. Sought out the guy who uses the cutting machine, no they don't cut plasterboard, against their H&S rules.!!!! 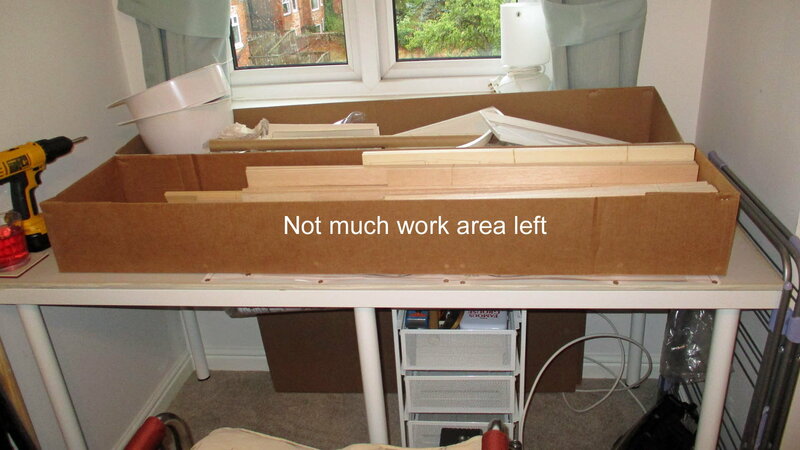 Came home & trawled various sites, no one cuts plasterboard, a half sheet wont fit my car. Looked at fibre ceiling tiles, cork sheet & tiles, but can't find anything to match plasterboard financially. Could you just cut the plasterboard yourself outside of the store? You just cut through through the paper on one side with a utility knife, bend to snap the board, then cut the paper on the other side. It does not need to be a perfectly straight edge (and you can always clean it up to make it look prettier after you get it home). As another option, how rigid about foam insulation board? 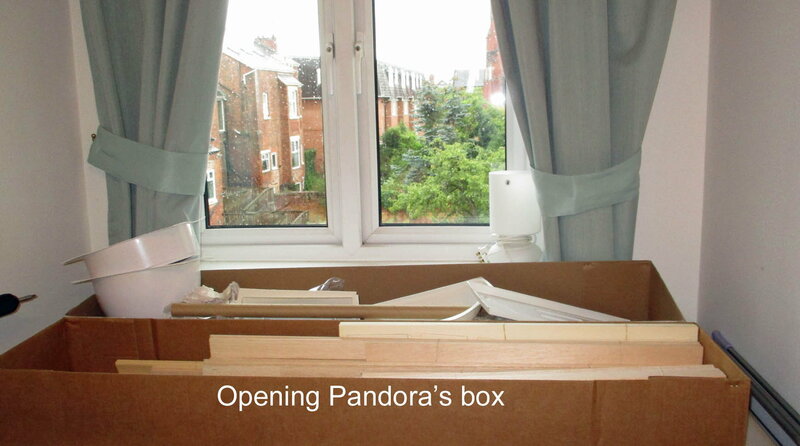 That should be similar in price to plasterboard and can also be easily cut down to size with a utility knife if needed. Spent the evening trying to find a ceiling tile supplier locally, struck out. Will probably try cutting plasterboard outside the store as you suggested. Will also take some masking tape to cover the edges before loading it in the car, just need to dig out my Stanley knife, haven't seen it for sometime. 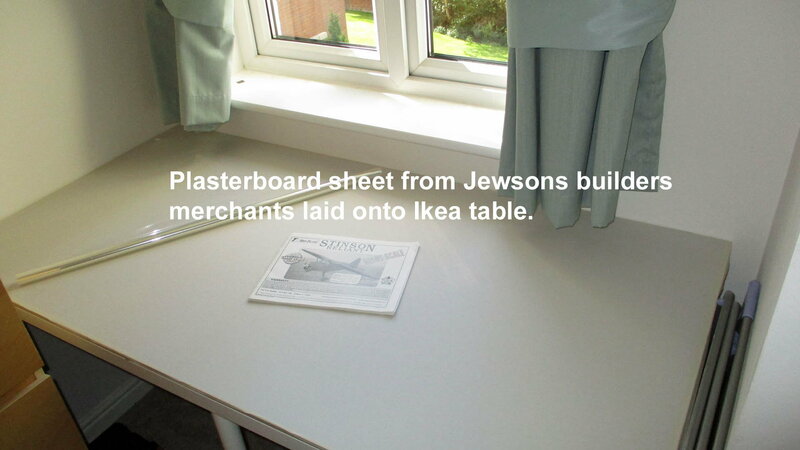 Jewsons the UK builders merchants came up with the goods, 1 sheet of plasterboard 150cm x 75cm x 9.5mm thick, cut to size, £5.25. Brought it home, taped the edges & fitted to the Ikea table. 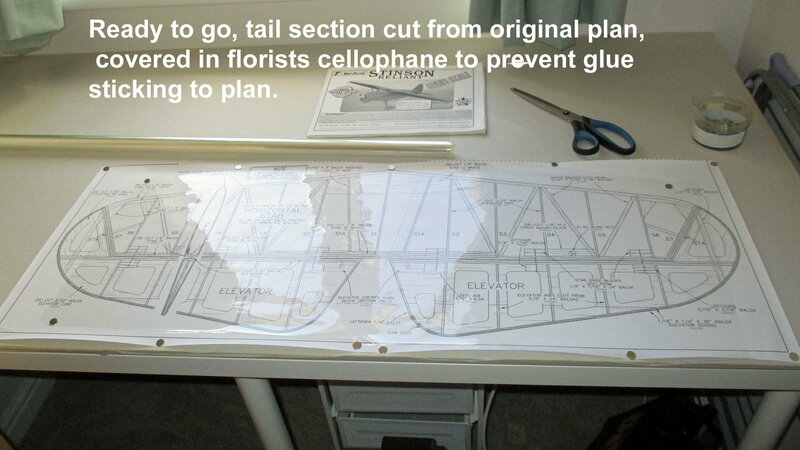 Cut the tailplane from the plan, pinned to board covered with florists cellophane. The words are in the picture. We can have dueling builds! 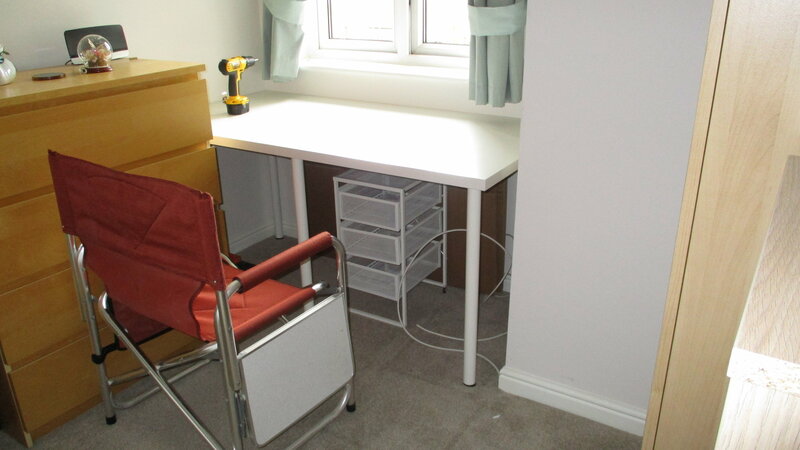 I might have a little more "elbow room" than you, but you have me at a disadvantage as I am lucky to get a few hours a week down in my workshop (and retirement is still a few years down the road for me). 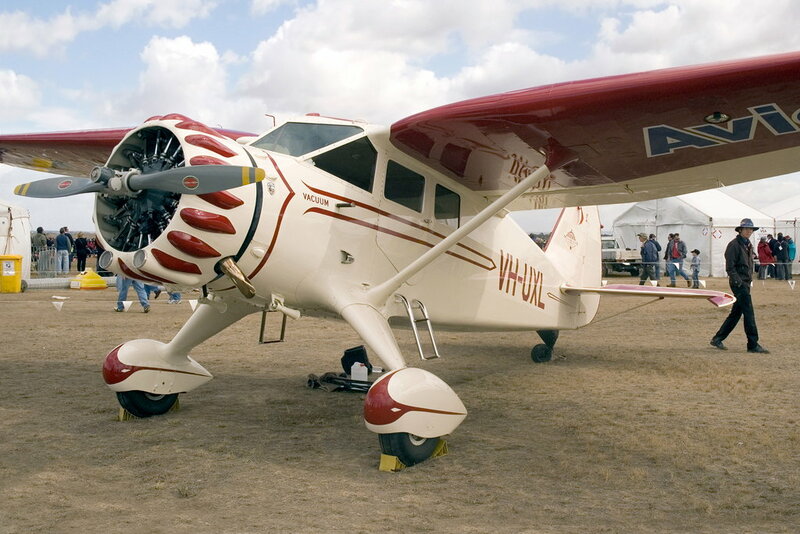 I built a Cessna derivative back in the day, too far back to remember which, hope yours goes ok. Are you going to start a new build thread or do you want me to add yours to this one. Will it be E powered? I will by trying to keep a detailed journal on my own blog site: http://alsrcsite.com (but I have not gotten that thread started yet). I may also do a build thread over at RC Scale Builder, but I am not sure yet. There are a lot of very talented builders over there and it is a good source for advice, but I find the site a bit awkward to use. If your interested in comparing notes from time-to-time, we can cross post summary status reports. I will definitely be going electric (that's all I fly). Can you provide a link for RC Scale Builder? 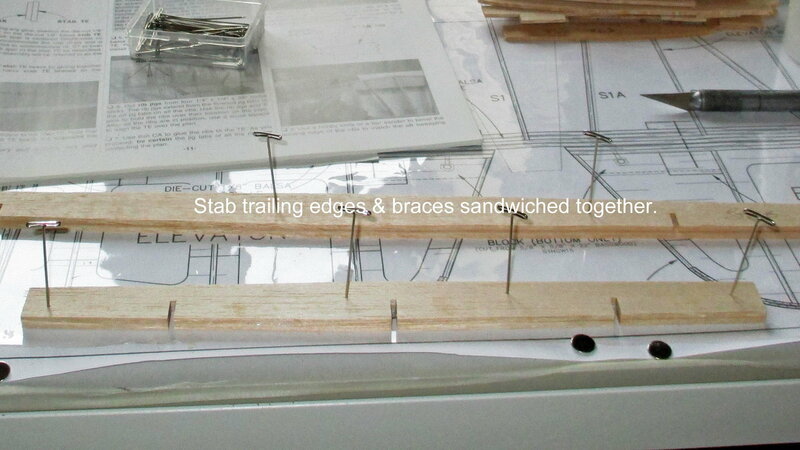 Couldn't keep my hands off the balsa this afternoon, despite waiting for the adhesives. The instructions state build the stabiliser (tailplane in the UK) first, so I opened the box & dived in. It was confusing at first as some of the parts were stamped with a reference number, some weren't so you have to refer to the instruction manual. 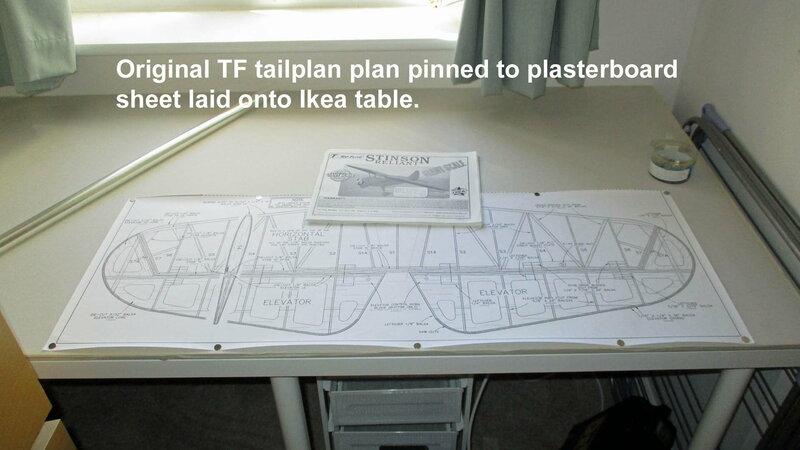 TF also suggest using a fine felt tip pen to mark up the parts not stamped by them. As I hadn't got one to hand, I used a ball pen, then remembered I had some pencils, so I continued in pencil. Most of the parts came out of the sheets easily, the odd one using knife assistance. 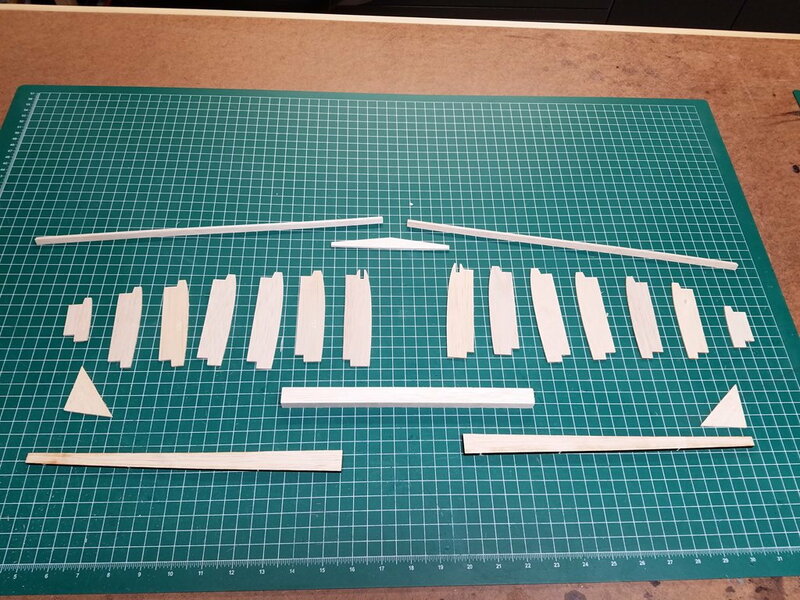 There was quite a marked difference in the balsa between sheets, even when duplicate parts came from different sheets. But on the whole I was satisfied. 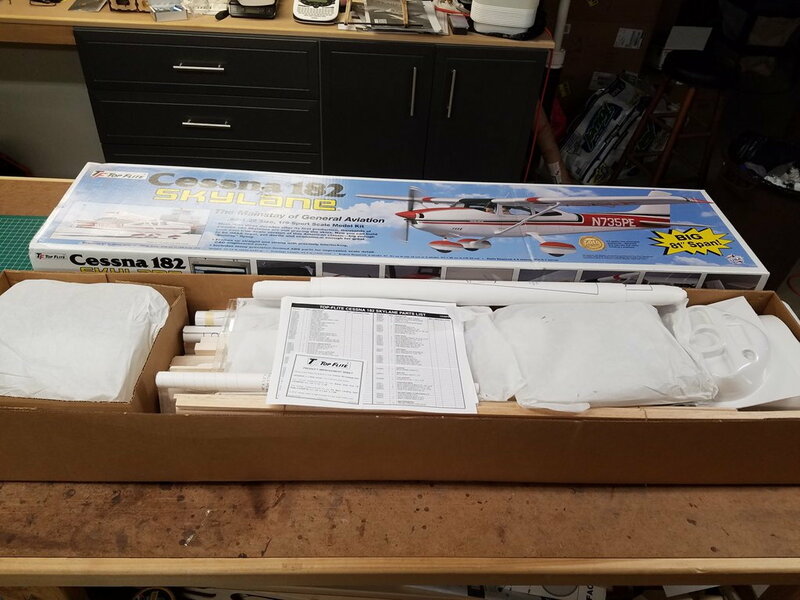 Incidentally, I noticed in your pictures you had the cockpit kit with the Cessna, I ordered one from TF in August & thought I'd check progress, It's been sat at Coventry UK airport awaiting customs clearance for 4 days!!! Link to RC Scale Builder: https://www.rcscalebuilder.com/default.asp Unfortunately, it is pay site, you can browse, but can't post unless you subscribe. I don't post there very often myself as most of my builds are sport planes, and they are very strict about only allowing scale models. I bought a lifetime membership there a few years back when they were offering a very deep discount. If it wasn't for that, I probably would not subscribe. Count yourself lucky if you managed to get a Stinson Interior kit on order. 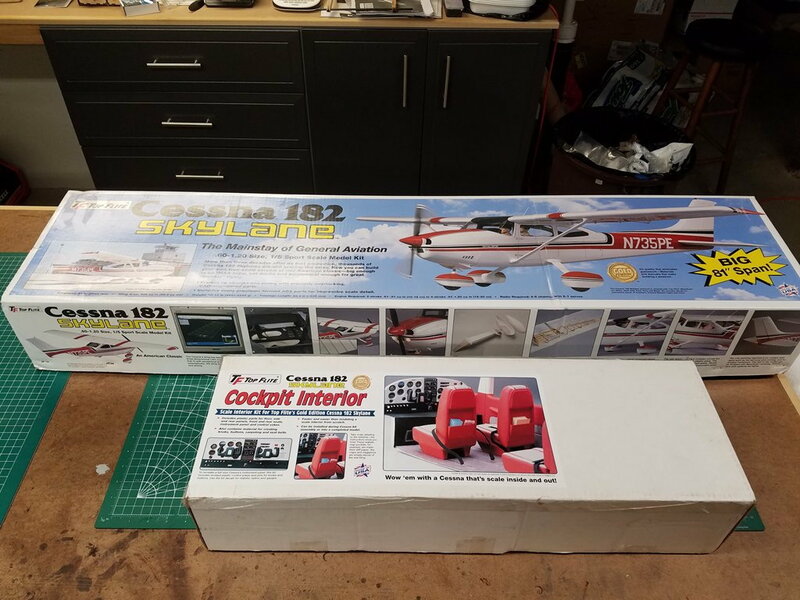 After Hobbico got bought out by Horizon Hobbies, all of the Top Flite kits and kit accessories were discontinued (including the Stinson and the Stinson interior). Top Flite ARFs are still in production, but the kits are no more . I was able to get mine a few years back. I always struggle with having space for the kit boxes during construction myself. These builds do tend to take a lot of space! Re the interior kit, I ordered it with no problems & it was dispatched from the US on the 29th August I think. The latest info is in the picture below. From past experience, UK customs send me a letter by UK snail mail with a reference & an amount to pay, which I then get a code to release it for delivery after paying duty. Sometimes foreign goods have no duty, but takes for ever to arrive, particularly from China. 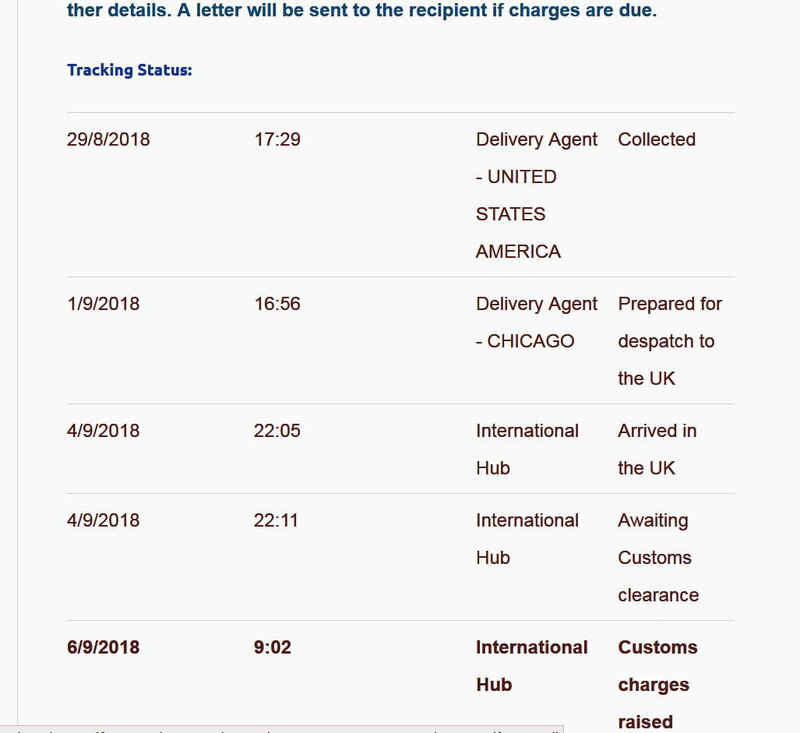 Bought an action camera 6 months ago from China, the same process was gone through, just takes ages once the goods are in the UK. Talking about this has brought back a memory from the past, before the internet in the mid eighties. We were going on our second holiday to the USA & ordered by phone a Balsa USA Fly Baby monoplane kit & the wheels, to be delivered to the post office in Orlando before our flight back. Everything worked fine & the kit went into the baggage hold & arrived safely in the UK. It didn't get stuck for duty as I declared it as a toy on the customs paperwork. Couldn't wait for the new adhesives to arrive, dug some old PVA glue out & made a start, can't go any further until the cyno arrives. I tend to use very little CA in my builds and use mostly aliphatic resin glue (like Titebond II). When dry it is very light weight (lighter than CAs) and if applied correctly (i.e. 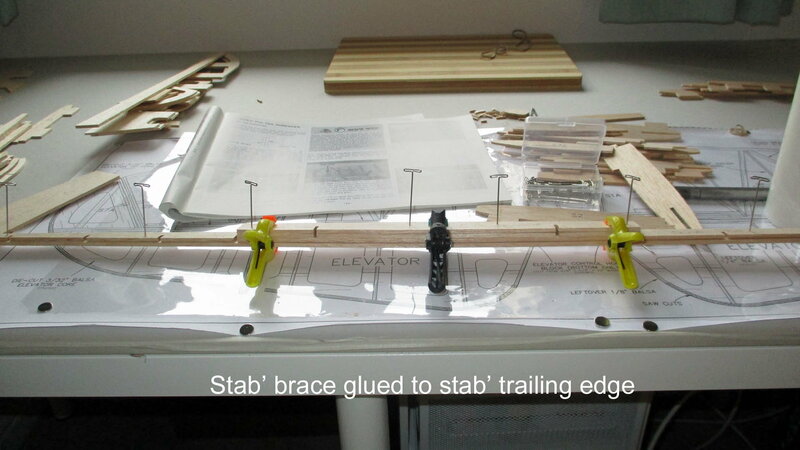 ; a clean wood-to-wood joint) it will be stronger than the surrounding wood (and it's a LOT cheaper than CA too ). I would have agreed before I built the Stearman, but the tecniques employed by the designers, TF included on the Stinson, make it difficult not to use cyno in some parts of the build, What I do is to use cyno where suggested then back it up with a smear of aliphatic applied with a fine brush, works for me, amazing how much quicker you can build. Onward & upward. BTW joined the RC Builder forum you posted the link for. Didn't cost anything but I can't post pictures, so I've just linked this build to my posts on there.